Navigation Patterns: Which is Best for Your App? Navigation is often overseen by users until it doesn’t meet their expectations. Navigation is an important part of your app architecture as it heavily influences user experience. Navigation patterns should be seamlessly integrated into the app. It should feel natural and it shouldn’t dominate the interface or draw focus away from the content. Choosing the right navigation patterns for your app is imperative for creating a great user experience. 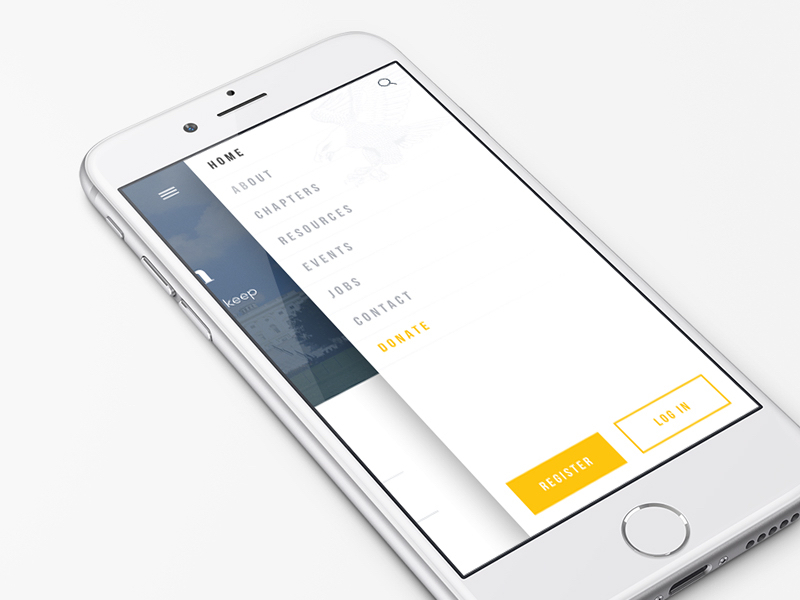 A confusing navigation will frustrate users and deter them from using your app. Making sure your user experience design is up to par will increase the likelihood of growing a loyal group of users. This navigation pattern is more commonly known as the hamburger menu. We all know that screen space is a precious commodity, this menu style helps save it. The menu is hidden beyond the left edge of the screen and will only appear upon a user’s request. Designers can avoid overwhelming users by hiding a large number of additional options within the menu. This enables users to focus all their attention on the content within the app without any distracting navigation options. The biggest drawback of the hamburger menu is it’s low discoverability. Since the introduction of the first fully touchscreen smartphone, mobile devices have been dominated by touchscreen interaction. Users have developed the habit of using gestures to navigate through content, so if your app has poorly integrated gestures, you’re app is likely to fail. Users prefer to interact with content than with navigation menus. This navigation style is much more engaging. People are required to tap and swipe through content. 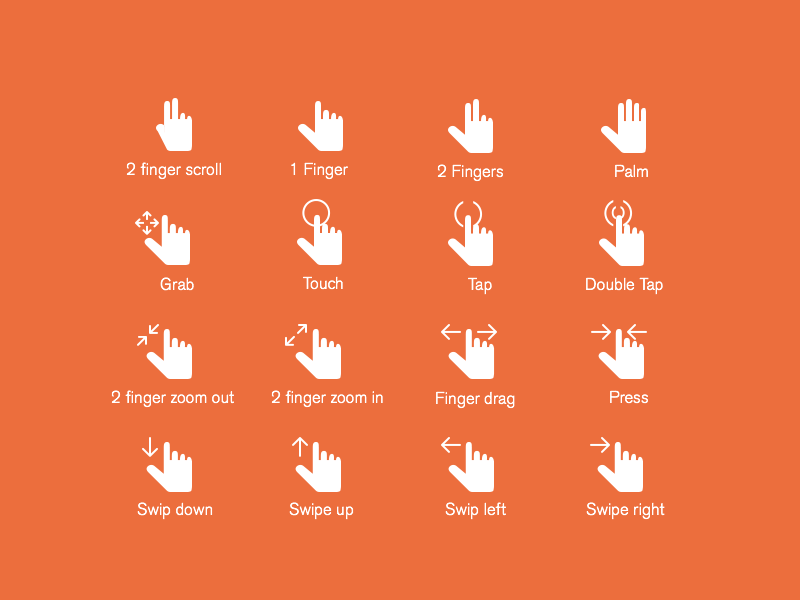 A gesture based navigation also removes UI clutter and provides a better user experience. However, gesture based navigation means the navigation menu is invisible. If your gestures aren’t intuitive, then users will struggle to interact with the app. A tab bar enables direct access to anywhere in the app. A tab bar will work best if your app only has a few top-level navigation options, no more than 5. This navigation pattern enables users to rapidly switch between different features within the app. The order of the navigation options should not be overlooked. Users expect information to be presented in a certain fashion. Typically, the first tab item is the home screen of the app. The following options should reflect their priority or follow a logical user flow. Incorporating the proper icons and visual cues allows users to easily identify their current location. Since the navigation bar is always in sight the user is aware of all the main app views and is just a click away from each one. Although the tab bar is used throughout many popular apps, such as Twitter and Instagram, one of its greatest limitations is the number of options you can put on it. If your app has more than five options, fitting them on a tab becomes challenging and cluttered. Let alone, your touch-target size becomes very small making it difficult for users to click what they want. Although navigation patterns may seem to be universal between different platforms, there are some discrepancies. Certain navigation patterns may perform better on an iOS application versus an Android application. Platforms also have different rules and guidelines for UI and usability, so it’s important to take them into consideration. Mistakes in your navigation options will lead to poor user experience, ultimately leading to users deleting apps off their phones. Your apps navigation should be intuitive and predictable.